WELCOME! 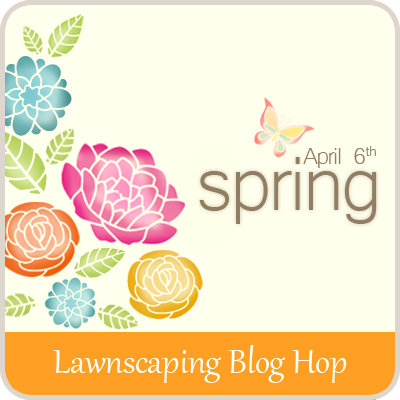 WELCOME EVERYONE TO THE LAWNSCAPING SPRING BLOG HOP! The hop runs from Friday, April 6th - Sunday, April 8th! Sit back and relax and be prepared to be inspired. We have lots of designers on this hop and we want to make sure you have time to see them all. So you have the whole weekend to hop along.... Make sure to comment on all of the blogs because there are LOTS of prizes to be won! The more comments you leave, the better chances you have of winning. When: The blog hop starts on April 6th at 12:01 AM, EST. Everyone will have until Sunday, April 8th at 11:59 pm EST to leave comments on all the blogs to be eligible for a prize! The winners will be chosen via random.org and announced on Monday, April 9th. Prizes: TWO prizes will go to random hop participants (DT members not eligible) and then THREE prizes will go to three random people who comment along the hop! SPONSORS: Lawn Fawn and The Sweet Stamp Shop Stamp are generously sponsoring this hop with a free stamp set from their shops! We also have a May Arts Ribbon prize pack, a prize from Cards Magazine AND an American Crafts Glitter Tape prize pack (newly released). Lawn Fawn is a small company from Southern California that specializes in crafting products that are fun and lively. We love crafting products that are truly one of a kind. All of our stamps and paper feature original HAND DRAWN designs that have been created just for you; even our fonts have been customized! You will find crafting products that are cute, whimsical, and even a bit quirky, but one thing they all have in common is the ability to inspire creativity in everyone. Sweet Stamp Shop is a hand drawn polymer stamp company dedicated to creating fun and unique stamps that are easy to use, fun to color, and super 'sweet'! Visit our blog and you'll probably catch us teaching new techniques, staying in front of trends, and giving you a great source of daily inspiration. With an incredibly talented design team and *the* sweetest customers on the block, Sweet Stamp Shop is a one stop shop. So sit back, relax and get hoppin! Next on the hop is Laurel Beard! Please report any broken links to laurelbeard at me dot com! looking forward to all the spring fun! Love me some Lawn Fawn and I always enjoy the Sunday videos!!! yeah cannot wait to start the hop! I am a newbie to Lawn Fawn and love their product... can't wait to see all the fun projects! Off to Hop! Thanks for the super fun Hop... I made it all the way through in 1 sitting, I couldn't stop... and it's now 4:15 in the a.m.! Wow, this is some amazing and talented people and I enjoyed all the beautiful and fun projects! Thanks for a wonderful hop and the chance to win some great prizes! another fun hop! i'm off!!! woohoo! I'm just starting to Blog Hop! I'm excited that i can see many creations with LF stamps! woohoo! Can't wait to check out everyone's projects!!! Wow!!! This is a very fan hop. I'm so excited. Thank for this chance to play. Excited about this hop! Loving all the cool creations. Just starting! Super excited about all the inspiration! Thank you! Thanks for coordinating a great hop. Looking forward to all the inspiration! This hop is gonna be AWESOME! I love me some Lawn Fawn, and love to be inspired with their products - and use them whenever I can! THANK YOU all for the inspiration and fabulous projects! Great blog hop! Thanks for all the wonderful inspiration. I love a blog hop! Let the fun begin! This is a wonderful theme, I am so excited about seeing what everyone has to offer in inspiration. Thank you so much for sharing. I'm ready for some fun, here I go hopping! Two of my favorite companies! Can't wait to see all the fun stuff! The hop was great. I only ran into a couple of posts that weren't up yet, but will check back with them later. Thanks ladies. Getting ready to start hopping! I participated in a past hop here and it was such a great experience...will have to do it again! Off to check out all the cute goodness! I just finished the hop-amazing creations everyone! Headed out to hop, can't wait to see all that y'all do! Just finished hopping. What wonderful inspiration. Thanks so much. 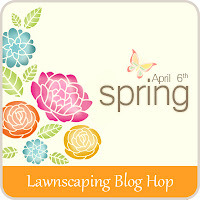 Looking forward to all the spring inspiration on this hop! I can't wait to hop along and see what everyone has to share! bring it on! super excited for the hop! Aye aye aye, those are a ton of blogs to visit. It's a good thing they will be using LF and SSS stamps because they are adorable! Wow, there will be a lot of hopping this Easter weekend! LOVE Lawn Fawn products and plan to finally purchase some when I get paid next week! Have been admiring for too long. Fun Blog hop. Can't wait to check out what all these ladies made! Wow...All done with the hop. and I will tell you there is some wonderful talented ladies here. I loved some many different things on each and every one of the projects today. I decided to write here last so I could tell you how it went. And it was Amazing. Thanks so much for having the hop. Look forward to all the wonderful projects ahead! Thanks for the chances to win! Ouu I love getting a peak at other people's projects. Thanks for the chance to win! Getting ready to start hopping. Thanks for the chance to win. Thanks for the inspiration trip I am about to start!!! Looking forward to visiting all of these blogs ;) Just love looking at great creativity. Awesome line up! I'm excited to visit all of these blogs! I just finished hopping! I loved seeing everyone's creativity. Fantastic job, folks! :) Happy Easter! What a perfect weekend to "hop"! im so excited to be a part of such a fun an inspirational hop, thank you!! Perfect eye candy for a Saturday blog stroll! funny hop! Thank for this chance to play. I'm looking forward to taking my time and enjoying the Hop. I'm excited, thanks for the chance to win! Oops, my husband was signed in not me! I have already seen some amazing creations. Off to look at more. Love your stamps!!! Most of them so cute!! Finally I got time to hop. It was fun theme and I really enjoyed participating. Thanks Laurel for organizing. Hop, hop, hop...best way to end my day!!! Thank you so much for the opportunity, I had a blast! Off to hop! I can't wait to see all the neat creations. Thanks so much for this fun hop! Thank you for putting together the blog hop. I love seeing all the inspiration! That was a very inspiring hop! Lovely projects! Thanks for organizing it, Laurel! Just finished the hop...whew! Can't wait to go back through those blogs...I've found a few more to add to my favorites list!